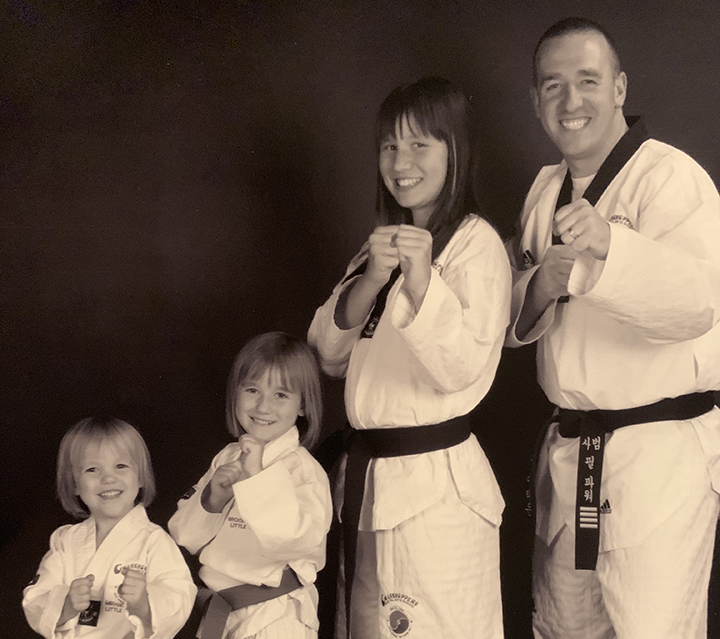 Grasshoppers is one of the only Martial Arts facilities offering family classes. Train with your child in the same class at the same time! Our classes are tailored by belt level and not by age so you can come and take class with any member of your family. Think about how many sports you can actually do with your child or spouse….not many! Technology is often blamed for creating a sedentary generation, as many youngsters prefer to control a character running in a video game than actually break a sweat themselves. Now an increasing number of parents are finding that if they want to praise their children away from their devices, they have to get them to do as they do, not just as they say. Parents who take Taekwondo with their children also share a common bond. We welcome you to come and try a free class with your entire family today.